As tens of thousands of people begin to descend on the National Mall to commemorate the 50th anniversary of the March on Washington, area transit and government agencies say commuters could experience travel nightmares Wednesday. 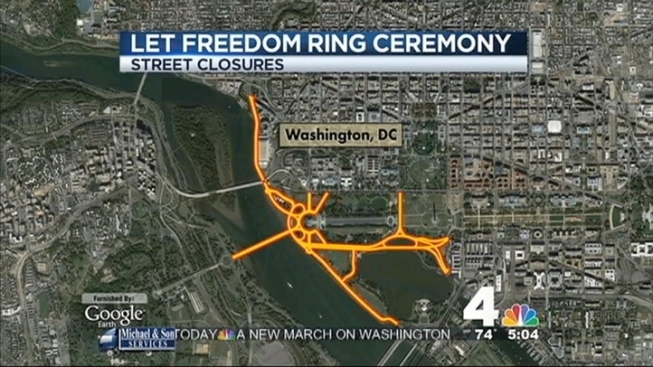 The Let Freedom Ring Commemoration and Call to Action event will take place from 11:30 a.m. to 4 p.m. Wednesday at the Lincoln Memorial. 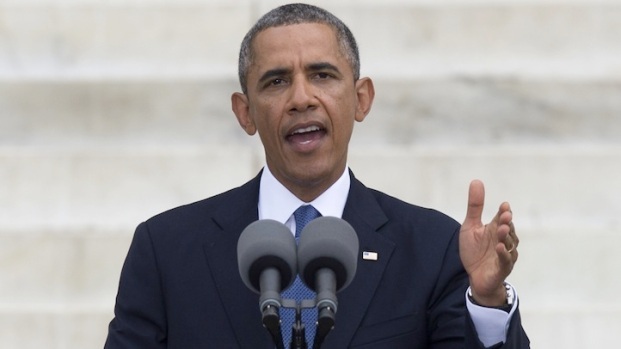 President Barack Obama and former Presidents Bill Clinton and Jimmy Carter are scheduled to speak, and security will be tight. 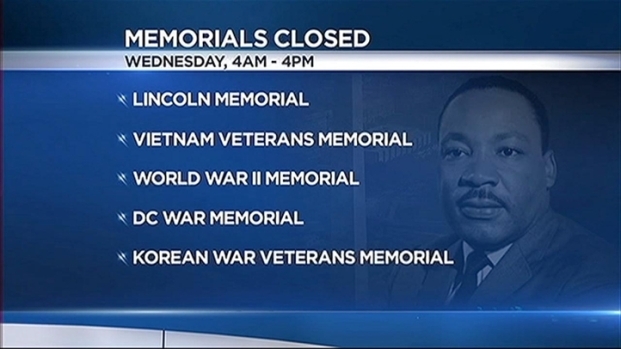 Several roads and memorials in D.C. -- as well as the Arlington Memorial Bridge -- are now closed and will remain closed through most of the day in response. The bridge is closed to both vehicular and pedestrian traffic. 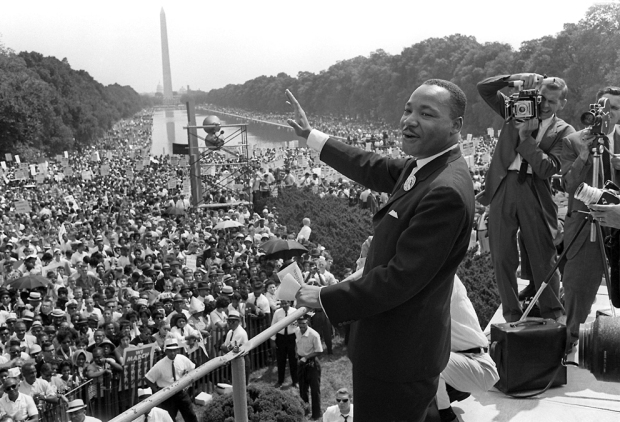 Get ready for lots of detours and road closures for tomorrow's big event to mark the 50th anniversary of the March on Washington. Transportation reporter Adam Tuss has what you need to know to get around town. In anticipation of a difficult morning commute, the Office of Personnel Management (OPM) urged federal employees to consider teleworking, if possible. For those attending the commemoration event, anyone without a ticket will only be able to access the commemoration by walking west into the area of the Reflecting Pool via the Elm walkway north of the World War II Memorial off 17th Street. Participants are encouraged to take public transportation. With the president scheduled to speak, security will be tight on the National Mall Wednesday, even compared to what we saw for the "Realize the Dream" rally Saturday. News4's Shomari Stone reports. Visitors are advised to use public transportation. Metrorail opened at 5 a.m. Wednesday and is operating on a normal weekday schedule. For the National Mall, Metro says participants should get off at Foggy Bottom (Orange/Blue Line), Farragut West (Orange/Blue Line), Farragut North (Red Line) or the Archives (Green/Yellow Line). If you choose to participate in the bell ringing ceremony, you should NOT plan to use the Arlington National Cemetery Metro station as the Arlington Memorial Bridge will be closed to pedestrian traffic. The closest stop to that event will be the Foggy Bottom stop. Metro doesn't suggest the Smithsonian stop be used, either, as crowding is expected. The morning commute hasn't been without a hiccup for Orange Line riders -- trains were single-tracking between Vienna and West Falls Church early Wednesday due to a disabled train. Regular service resumed shortly after 8 a.m., but Metro warned that residual delays may remain. Click here for more information on Metro. These NPS sites will be closed from 4 a.m. Wednesday until the end of the event, expected to be around 4 p.m. The following road closures went into effect at 3:15 a.m. Wednesday in the National Park Service's jurisdiction. The closures are for pedestrians as well as vehicles. In addition, Commercial vehicles will not be permitted on Constitution Avenue between 1 p.m. and 3:45 p.m.
Arlington Memorial Circle will remain open; however, Arlington Memorial Bridge is closed. F Street traffic will be allowed to access the northbound lanes of the Rock Creek Parkway to eastbound Virginia Avenue. Theodore Roosevelt Bridge will remain open; however, users of the Ohio Drive exit will be forced to U-turn north onto the Potomac Freeway. In addition to the National Park Service roads closed above, the Metropolitan Police Department closed the following streets at 3 a.m. and should reopen them by 6:30 p.m.
"No parking" signs have been posted on Constitution Avenue from 17th to 23rd streets NW on both sides of the street. A modified traffic pattern will be in effect for the morning rush hour. All traffic changes on Rock Creek Parkway from Shoreham Hill to Virginia Avenue will be made in accordance with the Guideline Manual for traffic changes in the Washington Metropolitan area. All traffic from southbound Rock Creek Parkway will be forced to eastbound Virginia Avenue. The evening traffic change will be made at the conclusion of the event. As a security precaution, all items listed below will not be allowed onto the National Park Service property in conjunction with this event. The Secret Service reserves the right to prohibit any other items that are determined to be a potential public safety hazard. Food and water will be available for purchase at concession stands in the area. Portable restrooms, including ADA-accessible restrooms, will be available. Bring enough food and water for the entire day (water-bottle filling stations will be available). Drink plenty of water even when not thirsty. Minimize consumption of beverages containing caffeine or alcohol. Periodically get out of the heat and into air conditioning, especially between the hours of 10 a.m. to 3 p.m.
Reduce exertion during the hottest hours. If you lose a member of your party, head to the U.S. Park Police family reunification tent, which will be set up on the south side of the Reflecting Pool between the D.C. War Memorial and the WWII Memorial. Uniformed Park Police officers will take any lost person to the tent. First aid stations will be on both sides of the Reflecting Pool. Cooling tents will be located on the north side of the Reflecting Pool.